Remember in the summer when fans of our rivals were saying we overpaid for the like of Alisson and Fabinho, while dismissing the Xherdan Shaqiri deal as a nothing signing? Well, combined, those three players are now worth €104.9m more than the €142.2m we spent on the trio, at €247.3m! This is according to CIES Football Observatory, whose sole function is to calculate players’ value based on a myriad of factors. They claim that of all players bought in the summer of 2018, Shaqiri’s actual value now compared to price paid has increased more than anybody in Europe – bar Atletico Madrid’s Rodri and Arsenal’s Lucas Torreria. We bought the Swiss for €14.7m and he’s now valued at €55m. 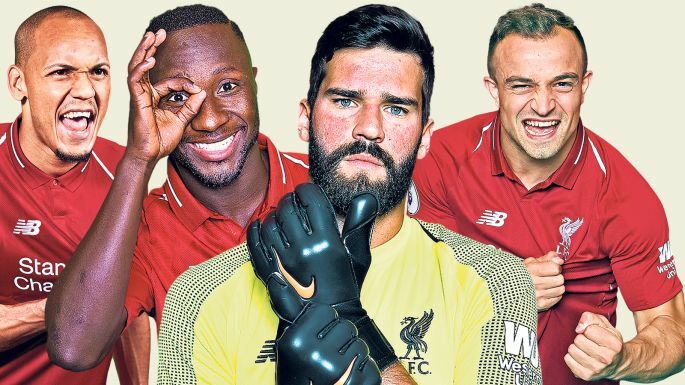 Alisson is 7th in the list, despite becoming the most expensive keeper in the world at the time of his arrival, and is now valued at €105.6m from the €72.5m we paid. Fabinho is 8th in the list; bought for €55m and now worth €86m. Naby Keita doesn’t feature, but we’re sure he’ll eventually prove his worth at Anfield as one of the best midfielders in the country. What this list does show is just how exceptional our business in 2018 was, as it doesn’t even include Virgil van Dijk, who has undoubtedly become the world’s best central defender since his purchase from Southampton.